The International School of Boston Gala 2019 will take place on Saturday, April 6th at the MIT Samberg Center. Buy your tickets: www.isbgala.org. 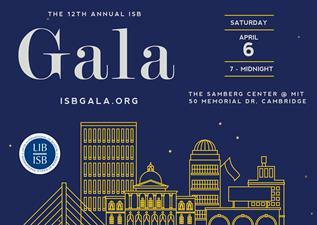 The ISB Gala is an evening of glamour, cocktails, dinner, dancing, live auctions, and raffles. It is above all a celebration of international friendships, bilingualism, and educational excellence. The International School of Boston (ISB) is a private, non-profit, Preschool (starting at age 2.9) - Grade 12 dual language school. With a mix of local and international student body and faculty, ISB is one of the oldest, most respected bilingual schools in the United States. ISB students learn in French and English, develop critical thinking skills, and thrive in a multicultural environment.